Let’s face it. No computer software is perfect, just as no human is perfect. This is why, over time, the software matures as a result of important updates released by their developers. Upon the first release of a computer program, there will be numerous unforeseen problems and issues experienced by the initial user base, most of which the developer could not have discovered without the feedback from users. Hence, the developers release updates. Basically, updates are additions to software that can help prevent or fix problems, or enhance and improve how your computer works. With this in mind, it is important to remember to regularly check for updates to your software (including Windows, Microsoft Office) for a variety of reasons. Improved security is the most important reason why you should make sure to update your software. Security updates are designed to protect your software (and computer) from harmful programs, viruses, and exploits. You wouldn’t want your software to leave a back door open on your computer and give intruders access to your personal information. New features are released over time for software as the creators continue to develop and mature it. Some features may improve the functionality of the program, or allow you to easily perform that one task you could never do before. Enhanced overall performance of the software and the computer is also often a good reason to keep up-to-date with updates to your PC programs. At initial creation developers may only envision one way of writing code and using computer resources to accomplish the necessary task. Then, down the road, the software developer may discover a less resource-intensive way to complete the same task, or a simpler way to write the code, either of which could help improve load times of software and in-use performance. Windows operating system come pre-installed with the Windows Update interface, which can make it extremely simple to keep your Microsoft software up to date (Windows 7, Windows Vista, Microsoft Office, etc.). The Windows Update service provides Windows users the opportunity to easily download and install a number of updates. Some third-party software and certain software suites are able to automatically receive updates through Windows Update as well. 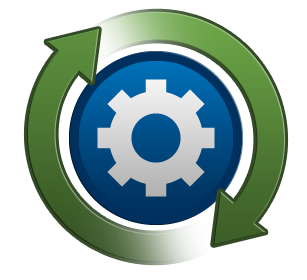 If you are running Windows 7, learn how to set up automatic updates. Most other third-party software will have different ways of updating the software. We recommend that you browse the help menu in your most used programs to find out how to check for updates.